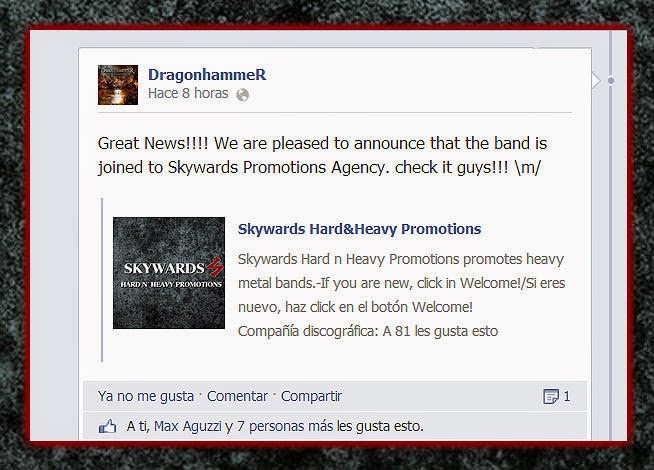 Today I am going to say thanks to DragonhammeR for trusting Skywards HardnHeavy Promotions. It's an honour to work with the band and a pleasure to be part of their family! !